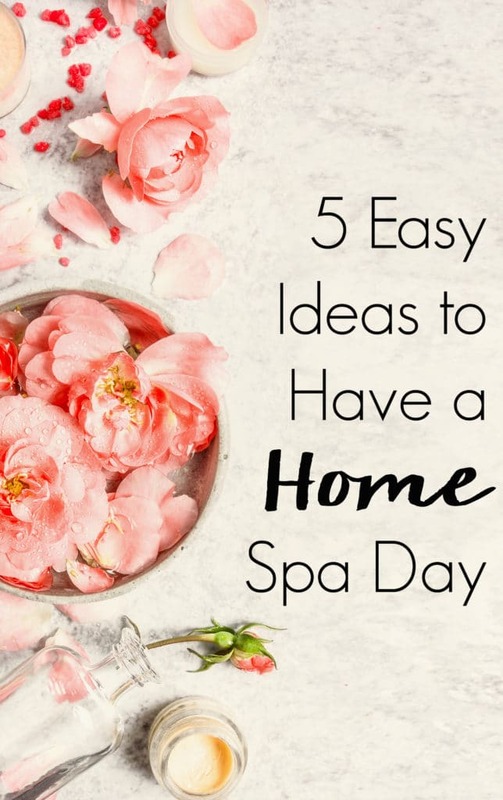 Relax and unwind for less on your own schedule without ever leaving the house with these 5 Easy Ideas to Have a Home Spa Day! This post with 5 Easy Ideas to Have a Home Spa Day was sponsored by Mirum, but all opinions are my own. The holiday season can really take it out of you. It’s exciting and magical, but also exhausting. Now that you’ve had some time to readjust to life again, it’s time to focus on self-care. As busy moms, though, sometimes it’s difficult to focus on taking care of ourselves as our primary role is to care for other people. But if we’re not taking care of yourself like we should, we’re going to have a harder time taking care of the people that depend on us. Even if your schedule or budget doesn’t allow for an elaborate day of pampering at a real spa, that’s no excuse. Here are 5 Easy Ideas to Have a Home Spa Day. 1. Light candles and dim the lights. When you think about day spas, the lights are always soft and soothing with calming scents. Recreate this at home with your own scented candles. If you want to save some money on candles, here’s how to turn leftover candle wax into tarts. Set the tone with instrumental meditation music to allow your mind and body to decompress and focus on relaxation. Spotify has a variety of spa/yoga/meditation playlists to choose from. 3. Mix up some spa water. One of the highlights of visiting a spa are the amazingly flavorful waters they have available. You can use berries, citrus, cucumbers, or herbs to naturally flavor your water for a refreshingly, flavorful way to rehydrate your body. 4. Make DIY beauty products. You can apply a thick layer of conditioner or make your own hair mask using items you already have in your kitchens such as avocado, mayonnaise, or coconut oil to soften your hair. Put your hair up in a top knot and let it sit on your hair while you’re relaxing. 5. Soak in the tub. Having a home spa day doesn’t have to be complex. Once you’ve lit the candles, turned on the music, are sipping your spa water, and deep conditioning your hair, it’s time to relax in the tub. An easy way to create a spa like soak is to add some epsom salts and your favorite bath product to soothe your achy muscles. 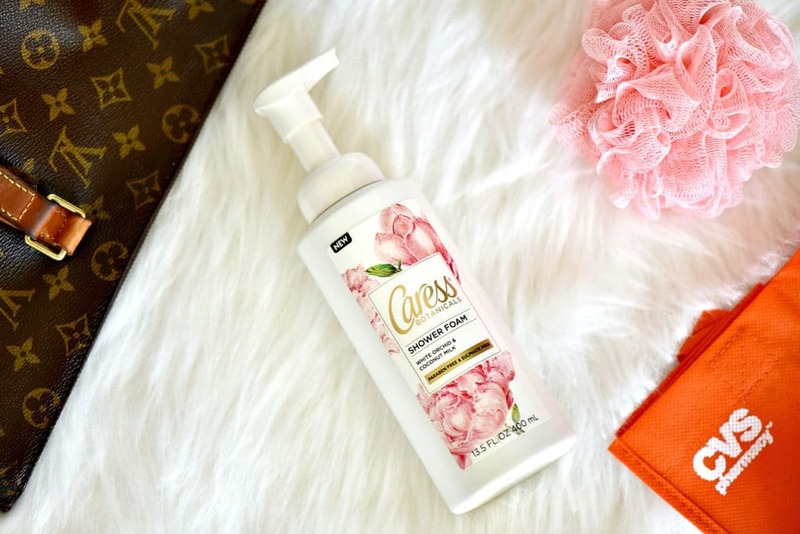 While I love it in the shower too, I just can’t get enough of the luxurious feeling and refreshing scent of the new Caress White Orchid shower foam. 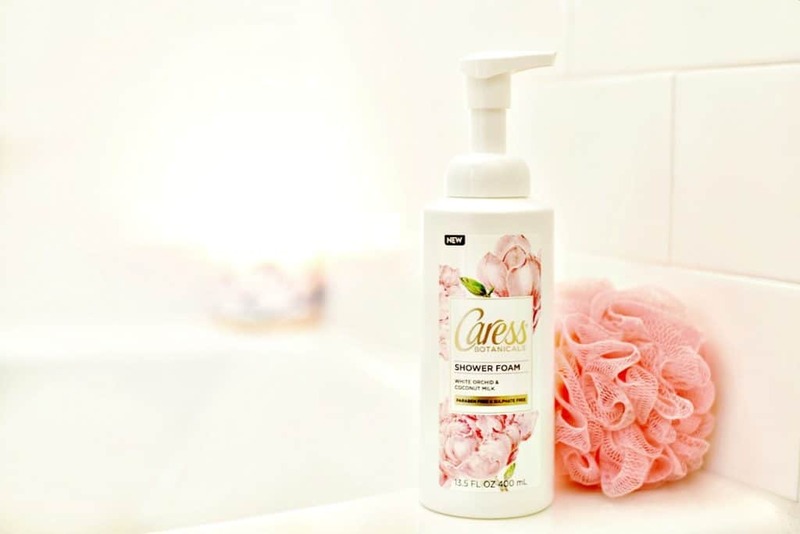 The pump design creates an airy, foaming lather that rinses quickly and leaves your skin feeling clean and smooth. Do you have any other easy ideas to have a home spa day?